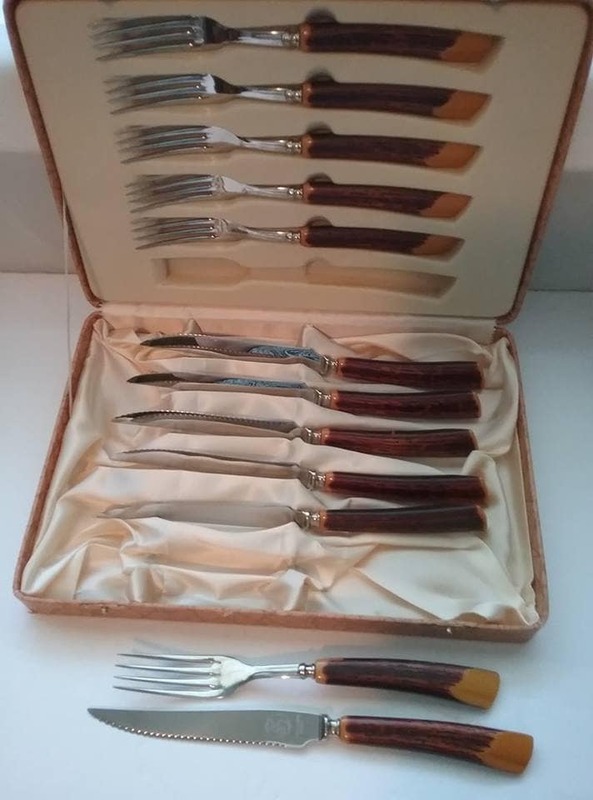 Vintage Glo Hill Steak knives and forks with Bakelite handles. 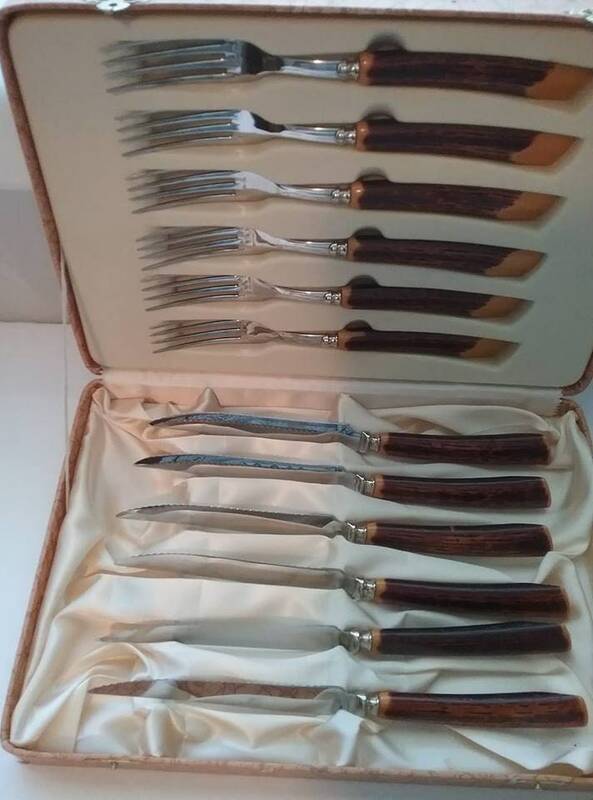 Vintage Stainless Steel set of 6 and 6 forks A well maintained set, they are in excellent condition. 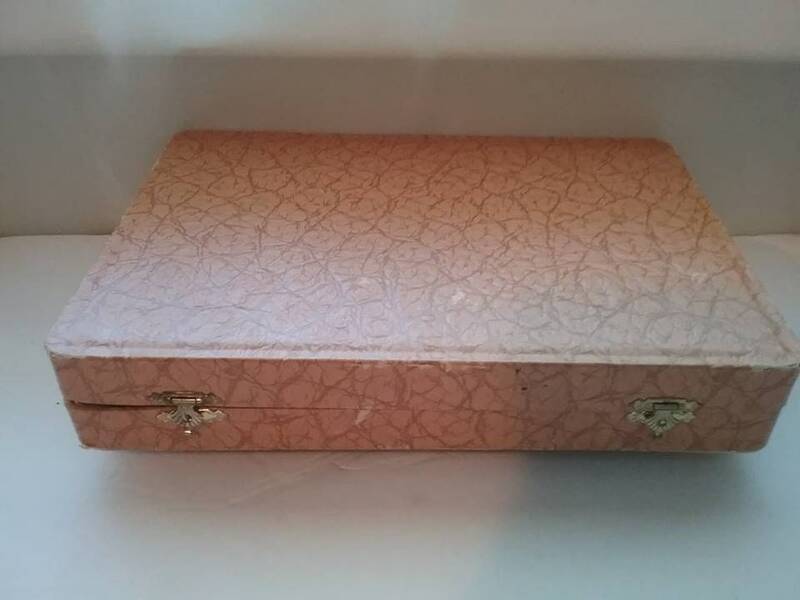 They are in the original box with a satin and velvety inside, and the outside has minor wear spots. 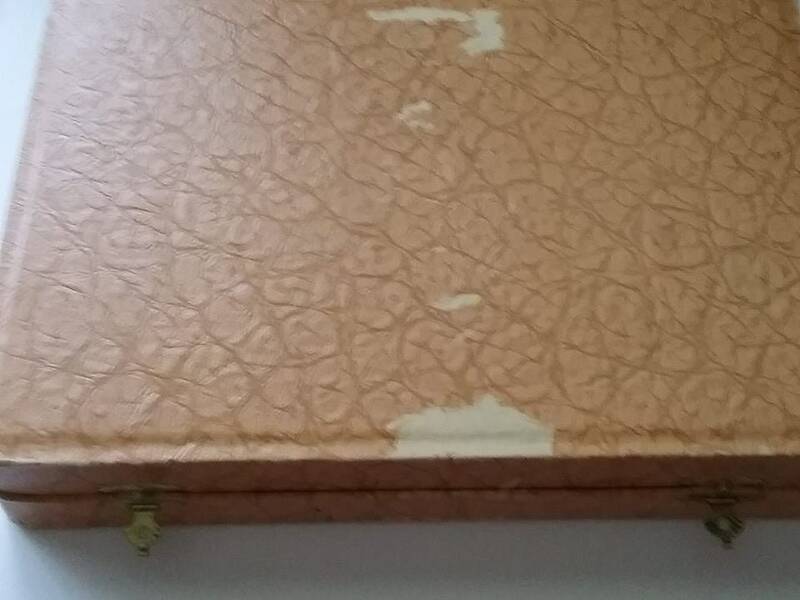 See last photo for bottom of box...box is in good vintage condition. 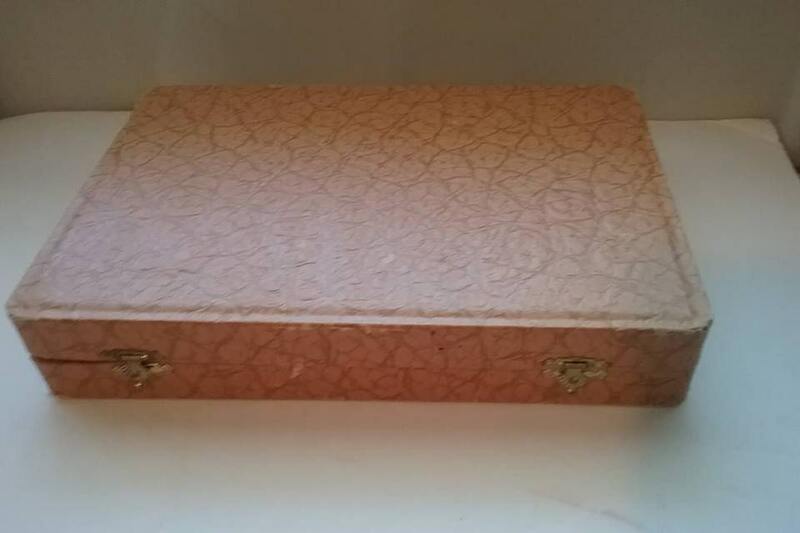 Box 10.5" x 7.5". 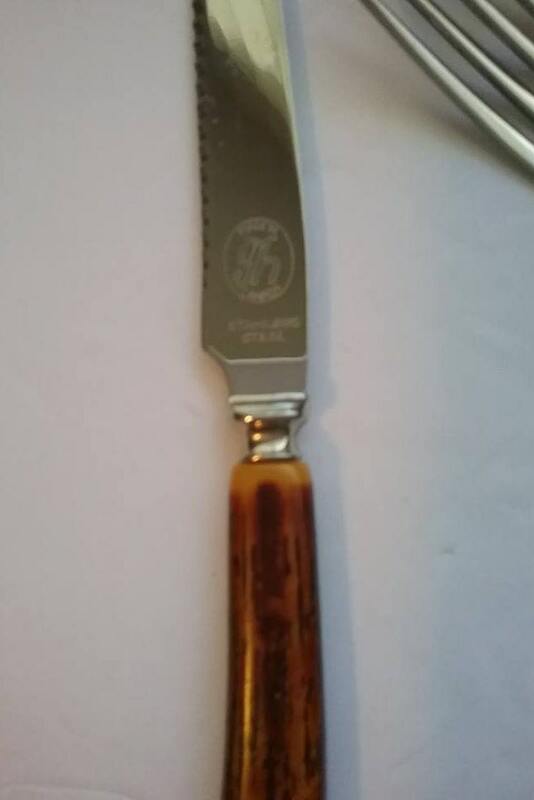 Knife is 8.5" long and fork is 7.5. Hinges hook loosely. 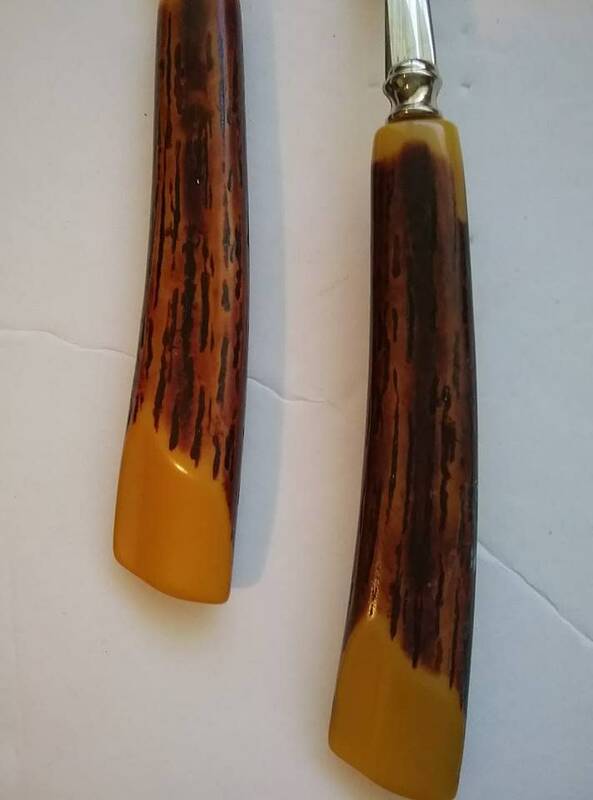 The cutlery is faux antler/horn, and would look lovely on any rustic place setting, or set out with lid open as part of the decor. And, Bakelite is a vintage collector's dream......any way you look at it, this set is a winner.